Seven crows a secret that’s never been told. Well, kids, big news! Bridget, my darling muse, and I got a very interesting email this weekend. And while I am the soul of discretion, poor Bridgie does not do well with secrets. She is absolutely bursting to tell you all what’s up, but I have her bound and gagged in the corner of my writing room, awaiting the moment I get the “all clear” and I can tell what’s going on. So for now, I’ll just share “Counting Crows” – the poem, not the band – with you, and tell you to tune in again. The big news release should come any day now!!!! It’s Tunesday again, folks! 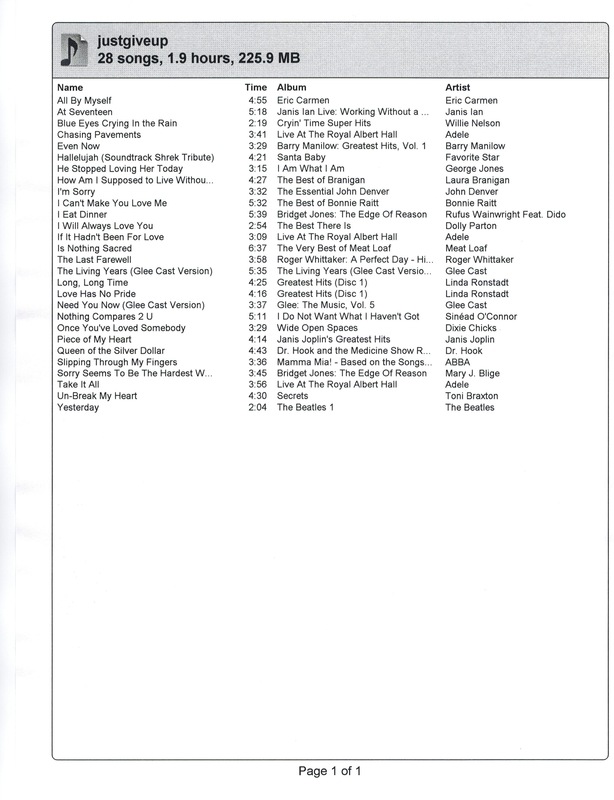 The day of the week when I share a few of the songs I’m listening to as I write. And since both Bridget (my muse) and I are suffering from a bad case of the depresseds this week, let’s stick with that theme. I get these bad spells, and I know they always end. But when I’m in the grip of the blue miseries, it’s hard to imagine ever feeling optimistic again. Here’s a list of my all-time favorite wallow-in-my-sorrow songs. They’re seeing some heavy playlist action right now. Now, the are two other songs that are even sadder, and I cry every time I hear them. But they are too much for me – I don’t have either “Christmas Shoes” or “Tears in Heaven” on my iPod. I’m not a big reader of literary fiction. Most of the great high-brow books of the modern era leave me with a distinctive “WTF? ?” at the end, along with regret over the time I used up reading something that had no point. Sorry. It’s a failing in me, I know. But give me a Laurens or Quinn (or even a Clancy or King) over a Didion any day. Still, I have to give credit where it is due, and I think we can all agree that getting nominated for a Pulitzer Prize indicates that a book is better than your run of the mill slush pile MS. So, obviously, such a book would reveal itself in all its literary glory to well-informed, high-minded cognoscenti who work as editors and agents, right? I can just see the MS laying in an editor’s inbox, effortlessly emitting the soft glow of literary brilliance. Well, hold on there, partner. Not exactly. Seems that not one, not even five or six, but ONE HUNDRED AND ELEVEN of the literary experts rejected James Lee Burke’s novel about a Korean War veteran, The Lost Get Back Boogie. Yep, 111. It took him over a decade to get it published, and even then, it was by a university press (LSU), not one of the NYC elite. Once it got published, of course, the critics went all fangirl on him, and The Lost Get Back Boogie got said Pulitzer nomination. Bet there were some red faces in NYC around that time, hmmm? Death. Taxes. 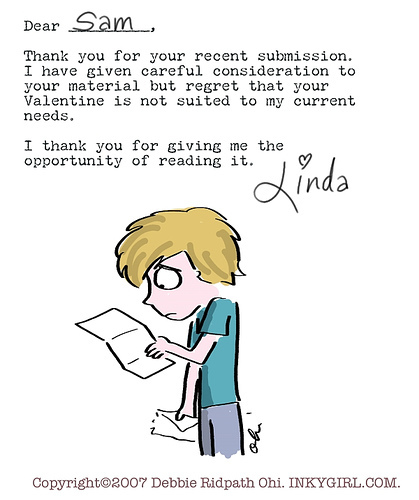 And, if you are a writer, rejection letters. Life holds a few inevitabilities. Unpleasant as they may be, you have to accept them. Of course, I try to do the Pollyanna thing and tell myself that these unpleasantries are the flip side of success – if you live, you have to die. You only pay taxes because you do, in fact, have money. And only those who try to achieve, those who create and submit and hold themselves out for judgment, get to be rejected. I tell myself that my RWA PRO pin is not a symbol of rejection, but of having succeeded. I have actually written a book. (More than one, actually). I have taken the incredibly audacious step of sending it to agents and publishers, because I really think it is worthy of being read. And as a result of those submissions, I have been rejected. I am not saying that I will ever be successful. I may not get published. I may just keep writing these my stories and no one else will ever like them. But I have to keep telling myself that rejection by an industry expert does not necessarily invalidate my belief in my stories. Because let’s look at the flip side of those expert opinions. 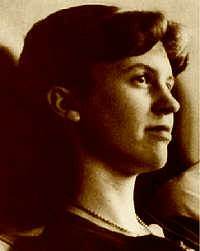 Every agent and publisher faces something as inevitable as a writer’s rejection letters: what I call “The Regretted Rejection.” Remember, Sylvia Plath may have had to read that rejection letter that said “’There certainly isn’t enough genuine talent for us to take notice.” But she only had to read that once. The editor that wrote it got to see it become famous for its lack of perception and understanding. So let’s give a moment of thought to the experts – like us, they send out their best work, and hope to heck that they turn out to have gotten it right. Today is the beginning of what I hope to make a regular feature of the blog –Rotten Rejection Remorse will bring you the finest in idiotic decisions by “those who should know.” The quote above is not a literary rejection, but it is one of my favorites. Not only was the expert colossally wrong, it proves that you shouldn’t go with the predicted trends. 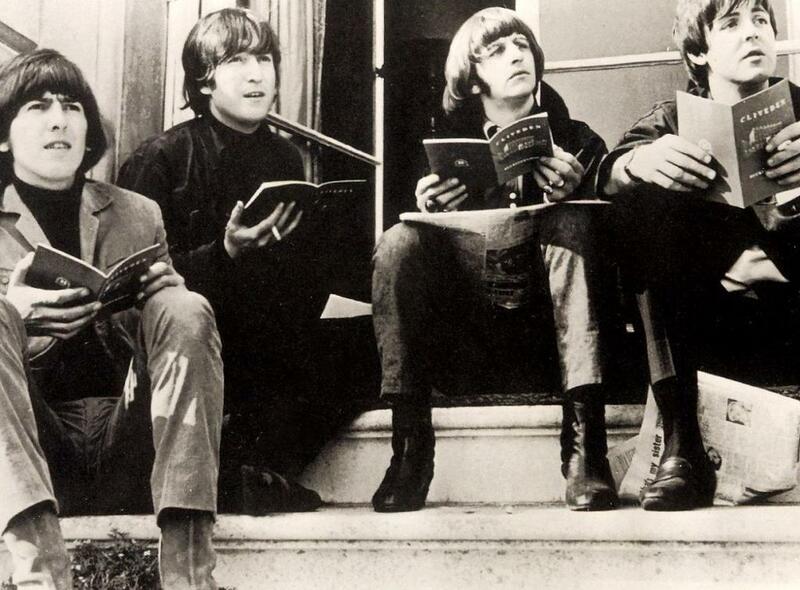 I’m sure that groups, particularly with guitars, were on the way out – until the Beatles brought them back in. As I tell my friend that writes kind of off the wall paranormals, no one liked boarding schools for wizards until JKR convinced us to be wild about them. Nobody ever heard of glittery vampires till Stephenie told us about them. Don’t worry about what is on the way out, or what is the coming thing. Write your best, believe in yourself, and keep sending those submissions.